Don’t have time to make breakfast in the morning? 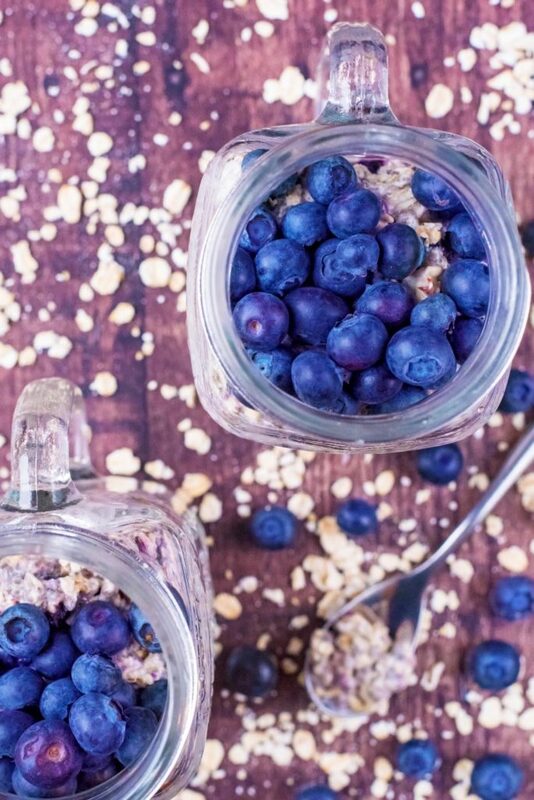 Give these Blueberry Muffin Overnight Oats a try! It’s all prepared the night before and has all the delicious flavours of a blueberry muffin, but much healthier. Plus check out the awesome site I learned this recipe from! I don’t know about you, but I find it hard to go into Starbucks for a coffee without ordering one of their giant blueberry muffins. They are just SO good and they go perfectly with a big cup of coffee. Well, what if you could start your day with a healthy hit of blueberry muffin goodness? 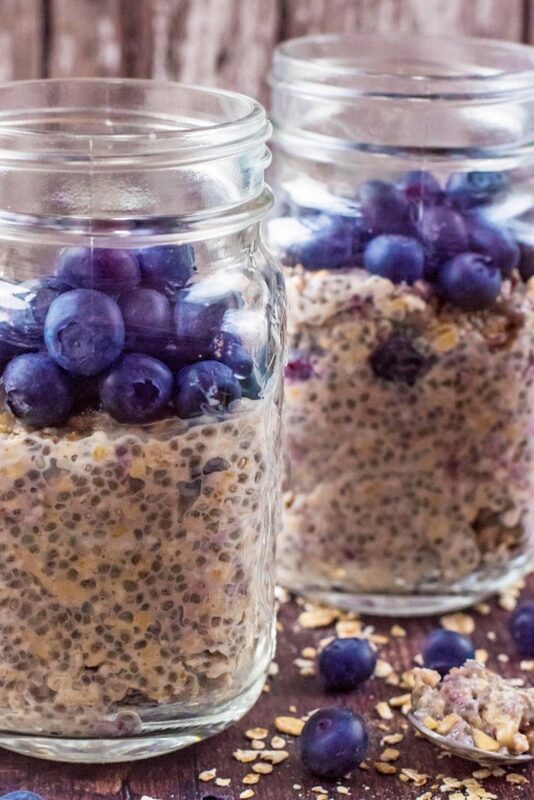 You can with these Blueberry Muffin Overnight Oats. 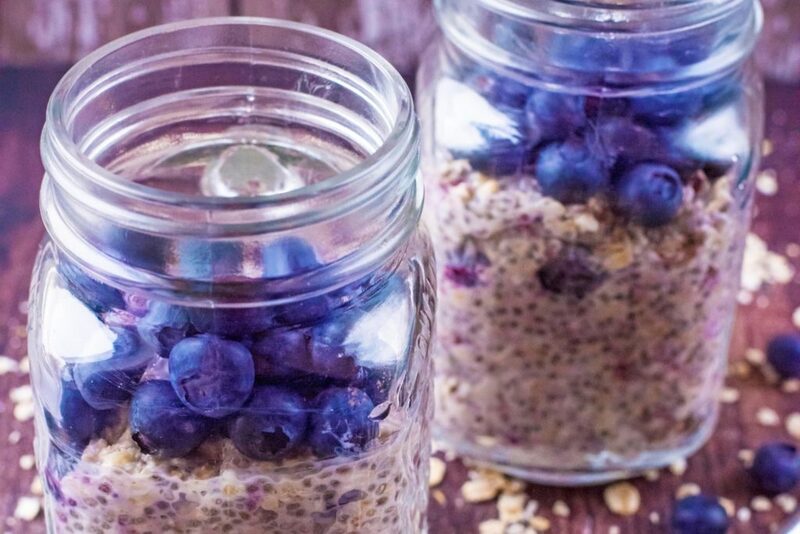 Do you want to be kept up to date on more delicious and healthy recipes like these Blueberry Muffin Overnight Oats? Please subscribe to the blog mailing list (it takes 30 seconds). You will get sent the new recipes straight to your inbox. Your email address won’t be passed on to anyone and you will never be spammed. I can’t take the credit for this recipe, as it’s one of the many amazing things that I have learnt from Skillshare. Not heard of Skillshare before? It needs to be part of your new year routine, as it is mine. If you want to learn something new this year, or improve some skills you already have, then Skillshare is the place for you. From photography courses, to easy breakfast ideas and even social media strategy classes! There really is something for everyone, and they’re actually offering a special promotion just for my readers: get two months of Skillshare for just $0.99 (normally $8.25 a month). I went straight to the culinary section to see what Skillshare had on offer. After checking out a knife skills class and a tutorial on how to make homemade pasta the real Italian way, a video for some overnight oats ideas caught my eye. I love Overnight Oats, as it’s so nice to wake up and know that breakfast is already in the fridge waiting for you. But, I have been getting a bit bored of the same flavour combinations (yep, even I can get bored of chocolate and peanut butter). So, when I saw the video for Blueberry Muffin Overnight Oats, my eyes lit up and I know that was the first recipe that I had to make from the site. It isn’t just a website, as there is a really simple and easy to navigate app as well, which means you can just have your phone in the kitchen to follow a recipe, rather than your laptop. Having all these amazing classes to learn a new skill on your phone means learning on the go. Don’t waste that boring train commute, learn something new instead! All of the classes I have taken so far (which is about 10, as I am seriously hooked on learning new things) have been professionally presented and really easy to follow. You can pause them at any time if you need some time to process the information and there is a section called “Your Classes” where you can go back and watch a class you have watched before. You can also speed up or slow down the classes depending on your preference. The comments for each class are also really engaging – you can learn from what other students are saying, and the teachers often reply in the comment section as well. For any bloggers reading this (or thinking about starting a blog), there are some fantastic resources on there for you. 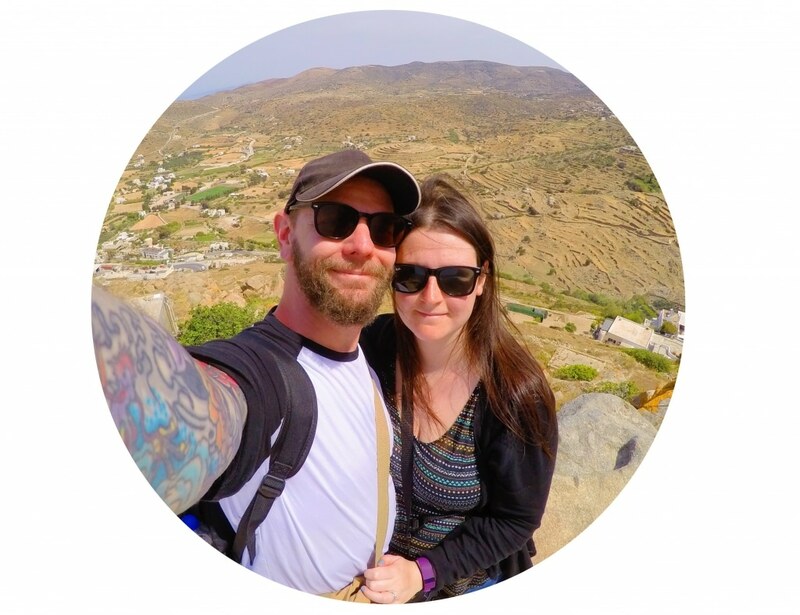 Not just photography classes, but Instagram mastermind classes, videos showing you how to make DIY photography backdrops and even a class on growing your creativity when you are having a bit of a creative block. 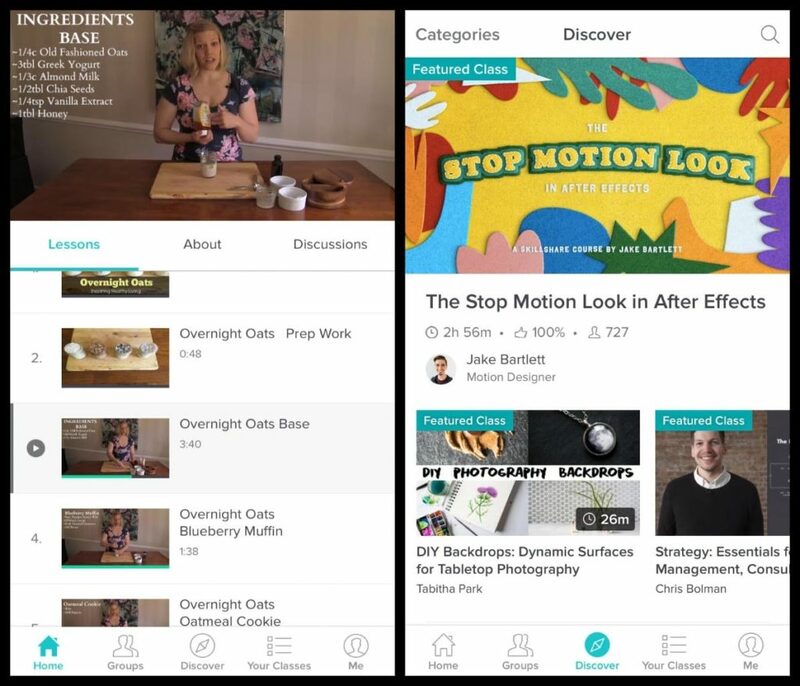 Whether you want to learn something totally new, gets some new ideas or improve some skills, Skillshare has something for you with over 18,000 classes. My readers can get their first two months of Skillshare Premium free (it’s only $8.25 a month after that – total bargain), so what are you waiting for? Sign up! Whilst I knew how to make the overnight oats base, I had never tried this flavour combination before. The pecans works really well with the blueberries and there was a real hint of blueberry muffin about it. 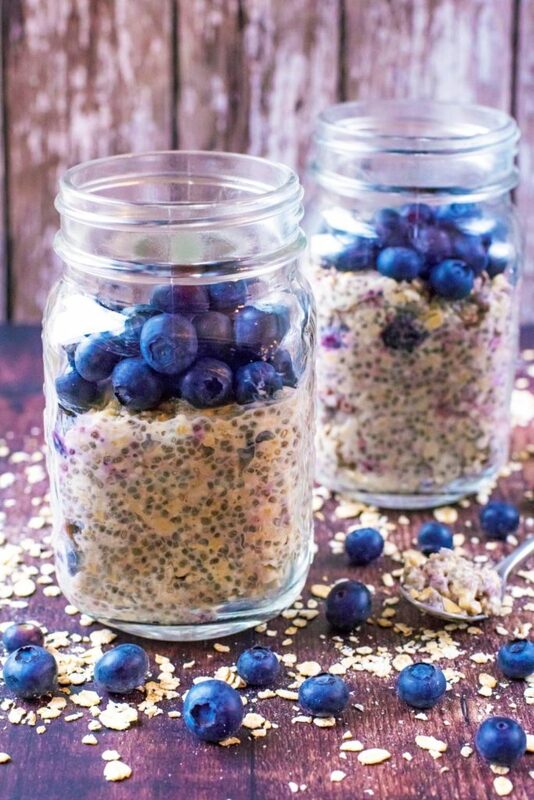 I love adding chia seeds to our overnight oats for a protein boost and it adds a nice texture too. Don’t have time to make breakfast in the morning? 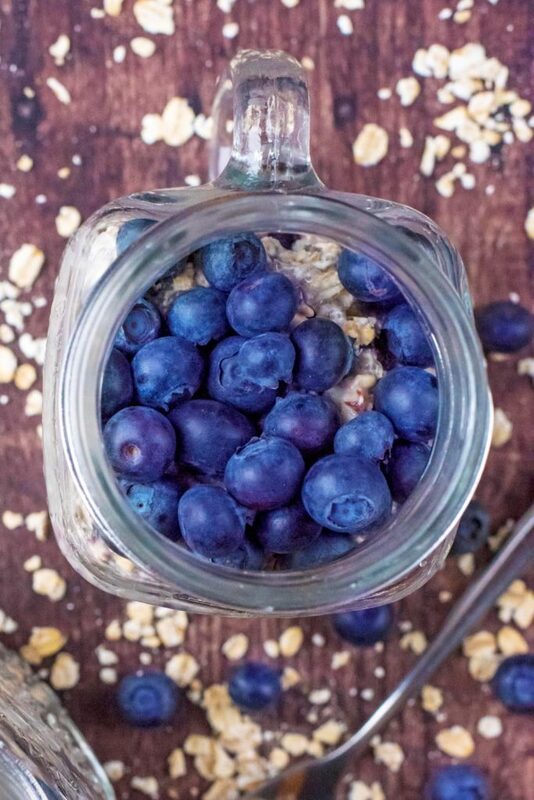 Give these Blueberry Muffin Overnight Oats a try! It’s all prepared the night before and has all the delicious flavours of a blueberry muffin, but much healthier. In a large bowl, add the oats, Greek yoghurt, milk, chia seeds, vanilla extract, maple syrup, salt, cinnamon, pecans and half the blueberries and mix well. Divide the mixture between 2 jars/glasses and top with the remaining blueberries. Put the the fridge for at least 4 hours, but preferably over night. 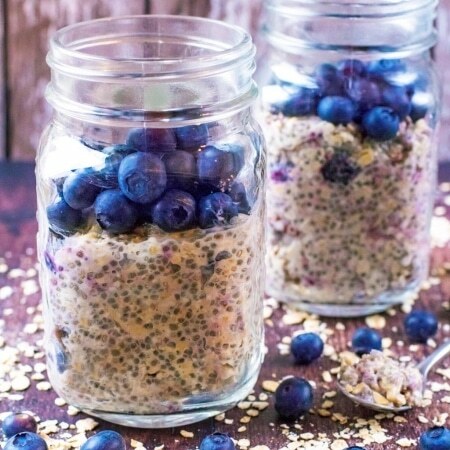 Like this Blueberry Muffin Overnight Oats recipe? Try some more of our oat recipes: Mixed Berry Oats; Pumpkin Spiced Overnight Oats; Apple, Maple and Pecan Overnight Oats; Coffee Cake Porridge or Chunky Monkey Porridge. 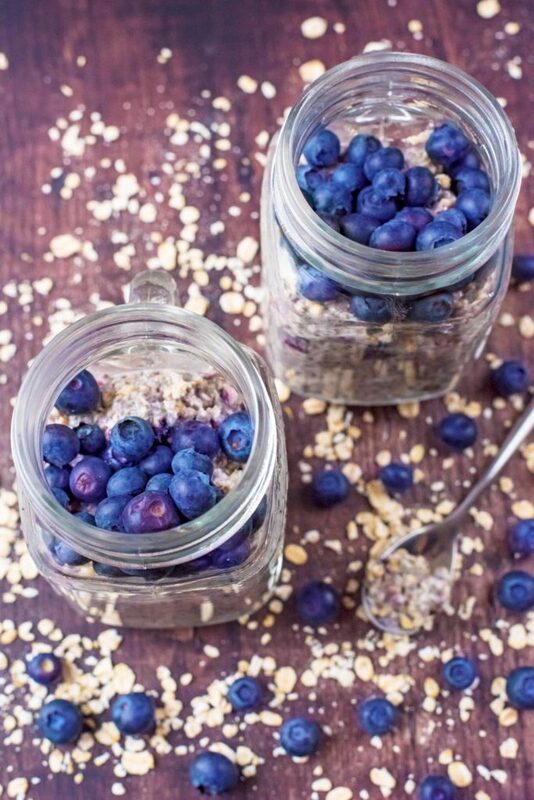 I have been looking for a recipe like this for oats with blueberries! Definitely going to give it a go soon. Perfect breakfasts. This sounds totally yummy, I’m a big fan of overnight oats. I love to learn things too and will certainly check out Skill Share, it’s amazing how much you can learn online now. 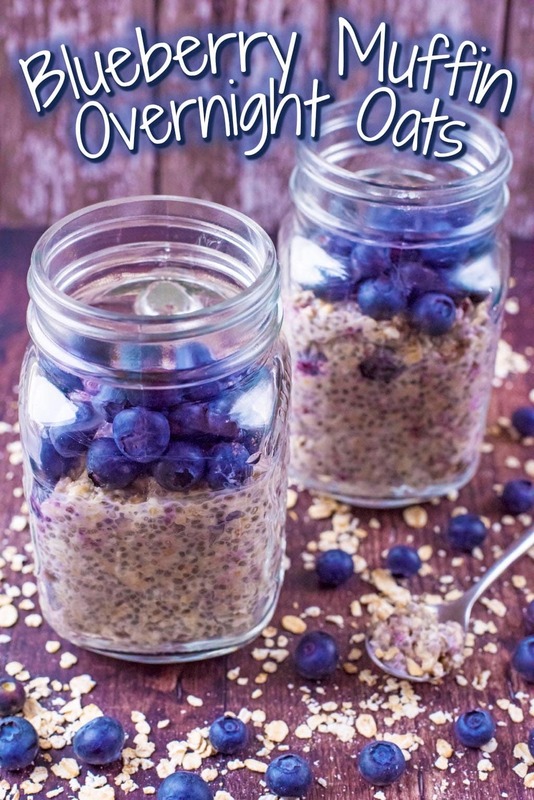 I love blueberry anything and they work so well in overnight oats. 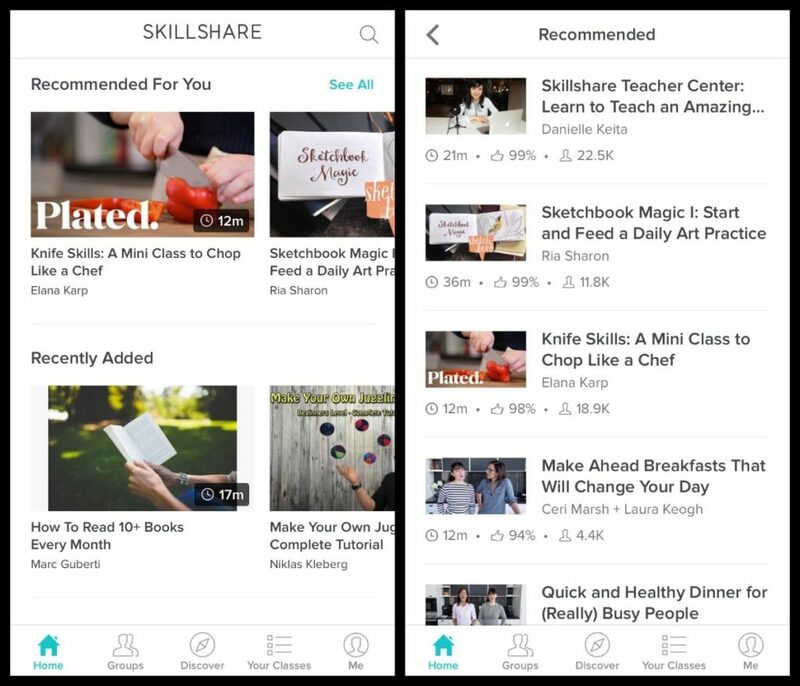 I will have to check out skillshare, it sounds amazing! I love making overnight oats and a blueberry muffin variety sounds amazing.